My son Riley goes to nursery and next week is book week at his school, all the children have been asked to dress up as a character from their favourite book. 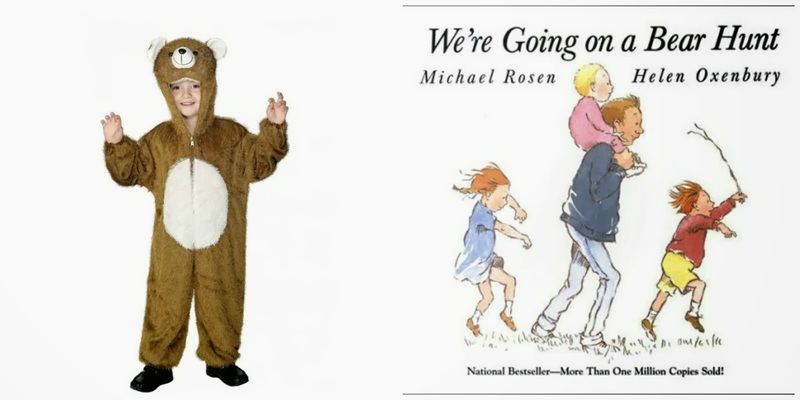 Riley absolutely loves books and we read numerous bedtime stories every night but I think the book that we've read more times than any other is We're Going On A Bear Hunt by Michael Rosen, so we thought it would be a nice idea for Riley to dress up as a bear. I had a quick look around and found lots of book week fancy dress costumes online, this super cute bear costume is just £17 and would be perfect for Riley. There were also lots of other brilliant costume choices so no matter what your little ones favourite book is there's something for everyone. 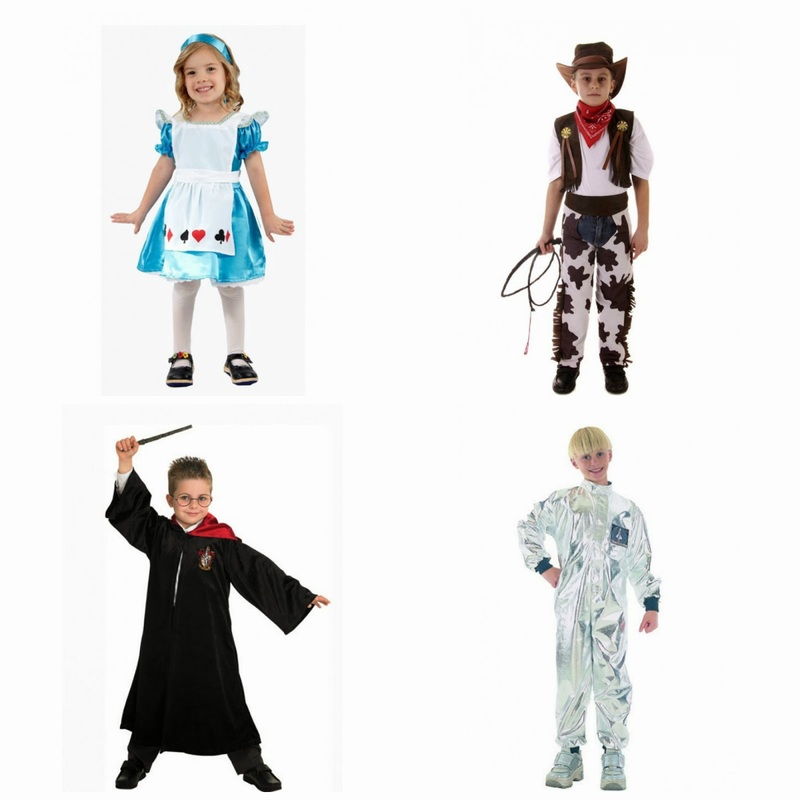 So if you're looking for a costume for book week you should shop online at Elliotts Fancy Dress. I can't wait to see all the other children at nursery dressed up in their little costumes, what is your little one dressing up as? 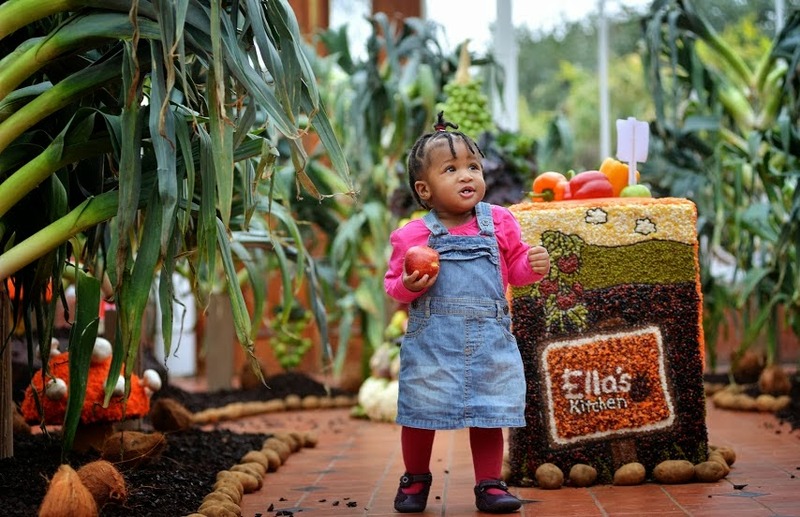 Ella’s Kitchen have created the world’s first edible forest for little ones, made entirely of organic fruit and vegetables. 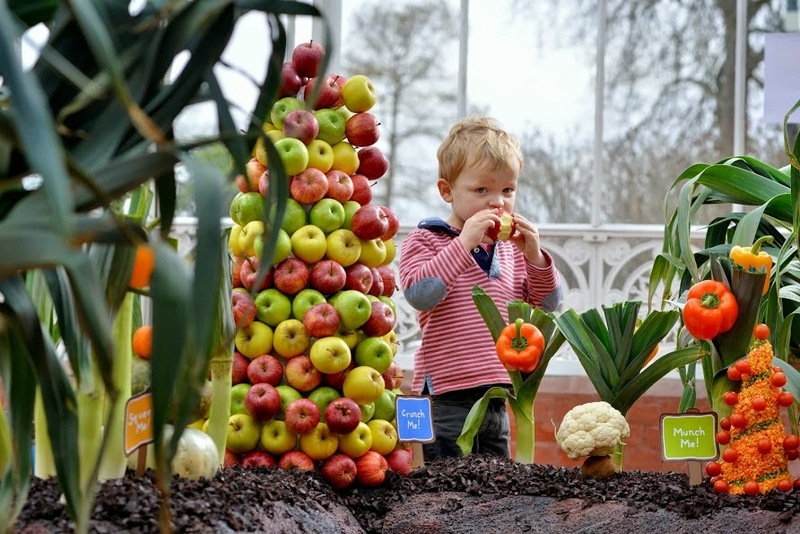 The toddler sized forest - designed to introduce little ones to a world of healthy eating - features over 600 kilos of fruit and veg and took a team of six people over 460 hours to create. The edible forest has been launched by Ella’s Kitchen to celebrate the launch of its new toddler meals range which features six recipes for growing toddlers, each bursting with at least five different fruits and vegetables. The forest, which stands at just 1.8m high making it perfect for little ones to explore, has been created specifically with adventurous (and hungry) toddlers in mind. Research shows that if little ones play with their food using all their senses, they are more likely to eat their greens at meal times! Created by food artist Prudence Staite, the edible landscape is made up of over 600 kilos of yummy fruit and vegetables and took a team of six people over 460 hours to create. Little ones (and their parents) will be able to eat their way through the edible woodland, which features everything from leek palm trees, lentil mushrooms and carrot hedgehogs to bell pepper flowers, a sensory herb garden and a bird bath made of pulses. Little explorers can help themselves to tasters of the 23 different types of fruit and vegetables on offer as they toddle along the forest’s pathway, adding a whole new level of fun to the eating experience. “At Ella’s Kitchen, we think fruit and vegetables are healthy, delicious and most importantly, fun! That’s why we wanted to create an incredible edible experience designed to excite little ones’ senses and encourage them to try a whole host of yummy different tastes and textures. 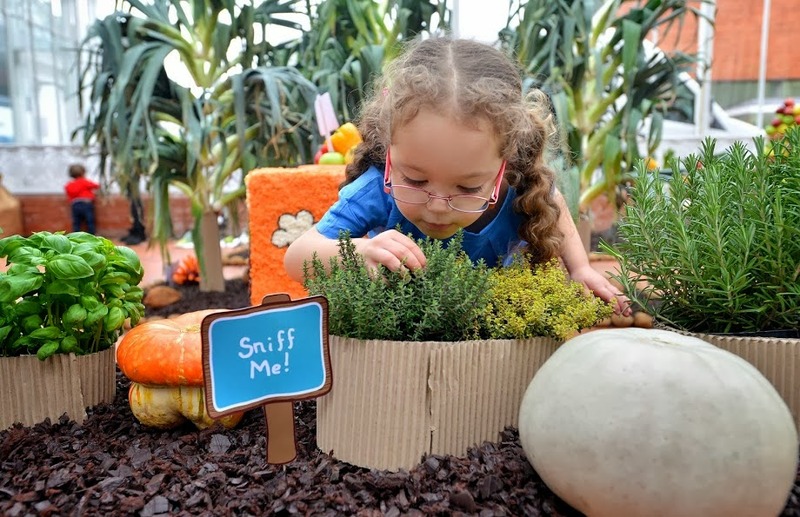 “Our edible forest captures the excitement and adventure of discovering delicious new flavours, and we hope the mini taste explorers who visit the edible forest enjoy their scrummy healthy eating journey. 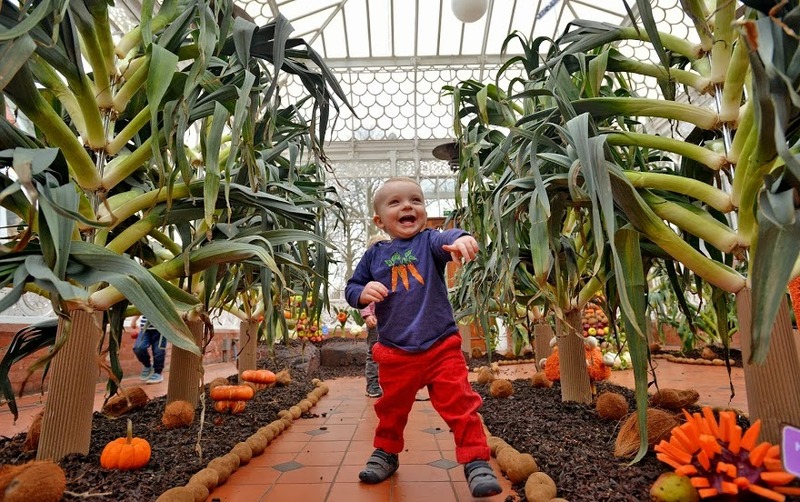 Ella’s Kitchen’s edible forest opens to the public today, for one day only, at The Horniman Museum and Gardens, winner of the Telegraph Family Friendly Museum Award and renowned for being one of London’s most child friendly venues, and is free of charge for parents and little ones to explore. The main cause of varicose veins is poor circulation, so whatever you can do to increase the circulation flow in your body will be a good way of preventing them from appearing on your legs. Basically anything that puts a strain on your legs, or affects the circulation in your body can contribute to varicose veins forming, so it’s best to use that as a rule of thumb. Here are 5 tips that will help you stay on track and keep your legs varicose vein free. If you are overweight then you will be putting a lot of strain on your body in many different ways. Getting yourself down to a healthy weight will assist you to avoid getting varicose veins in your legs, and exercising is a great way to do this. Even if it is just simple exercise such as walking, biking or swimming, it will help improve the circulation in your legs and keep you vein free for longer. You will also feel a lot better in yourself! Sometimes it is unavoidable to be standing long hours, especially if your work means that you need to do this. If you can take regular breaks to relax your legs you will have a much better chance of avoiding getting varicose veins because you will keep the blood moving. Even taking a short break every now and then could help a lot. Quitting smoking is such a great choice to make for both you and your body in so many different ways. Quitting smoking will assist your body to avoid getting varicose veins in two ways. Firstly, it will improve your circulation in your whole body, including your legs so you will helping it in a big way. Quitting also helps to avoid high blood pressure, so this will also contribute to better circulation and prevent you getting varicose veins. It’s been an urban myth that you can get varicose veins from crossing your legs and many of us may have scoffed at the idea, but it actually does have some merit. Crossing your legs will limit circulation and can contribute to varicose veins, so avoiding this will be another way of preventing the spidery web of veins appearing on your lovely legs. Wearing high heels is another way that you could be contributing to getting varicose veins, and if you are combining that with standing up for long hours you are almost asking for them! Choosing lower heeled shoes will help your body in lots of ways, by not only improving circulation, but also helping to keep your back in good condition. If all else fails and you have a lot of varicose veins already then there are medical treatments and other options available for removing them. See http://cosmeticsurgeryforwomen.com.au/ for more info about options for removing or treating varicose veins. Today I have a great giveaway for you, I'm giving away a Moxie Girlz FantaSea Hair Doll to one lucky winner. The Moxie Girlz™ are dazzling this season with their sparkly mermaid outfits and amazing hair designs, in the fabulous new Moxie Girlz™ FantaSea Hair doll range. 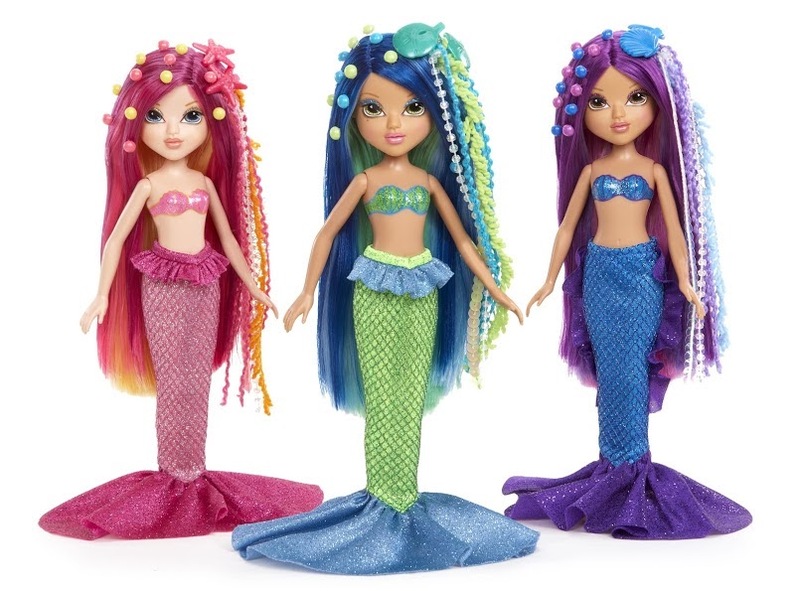 Avery, Sophina and Monet each bring three different mermaid looks to the new range, with their glittery outfits and colourful hair. Girls will enjoy creating fun new hair styles for their doll using the two gorgeous shell hair clips provided to accessorise the magical look. The child can also wear the clips in their own hair too! Adding water fun to colourful hair play, the shimmering mermaid tail can be removed to reveal a cute bathing suit. To be in with a chance of winning this fab prize just fill in the Rafflecopter form below, giveaway is open to UK residents only. When Riley goes to bed at night we always read him several bedtime stories before he goes to sleep but if he had his way we'd be up there all night reading to him and he always gets really upset when we say "that's enough now no more stories tonight". We recently got the Read With Me Scout toy and quickly realised that it was the answer to our bedtime story problems, thanks to this we now have no more tearful bedtimes and Riley gets all the bedtime stories he can listen to before he falls fast asleep. There is the Read With Me Scout for boys and Read With Me Violet for girls, they come with 5 books and are suitable for 2-5 year olds. Riley was already familiar with Scout as he has had the Twinkle Twinkle Little Scout since he was 4 months old and he takes the little blanket that came with it everywhere with him. Scout is a super soft cuddly toy with 5 buttons on his collar that correspond to the 5 books that come with him, your child chooses a book and then presses the corresponding number on Scouts collar and Scout then reads the book to your child. 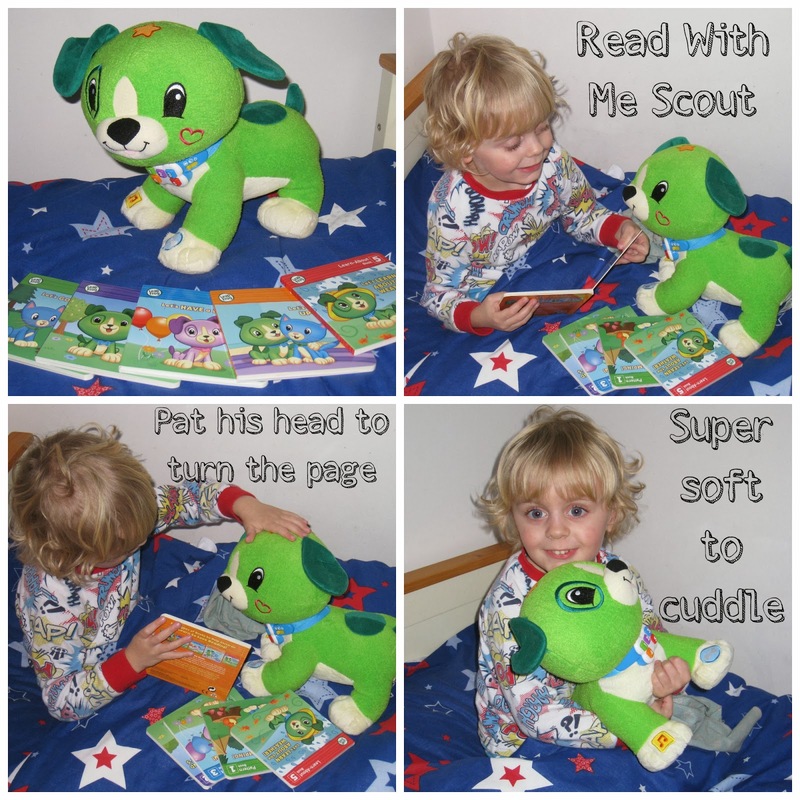 Whilst he is reading the book Scout also makes the activity interactive by instructing your child to pat his head if they're ready to turn the page or press his paw for a song. Riley loved the fact that he could get involved with the story and interact with Scout, the stories help to teach him numbers, colours, rhyming and also about feelings like being happy or sad. Bedtimes are much happier since Scout arrived and now after we've read Riley a few stories he's quite happy for us to go downstairs and leave him to read stories with Scout. 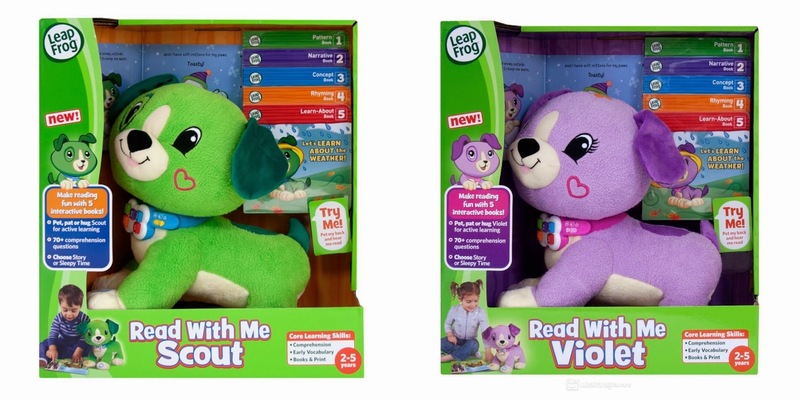 You can buy Read With Me Scout from the LeapFrog Store, Toys R Us, Argos, Mothercare, Asda and Tesco. 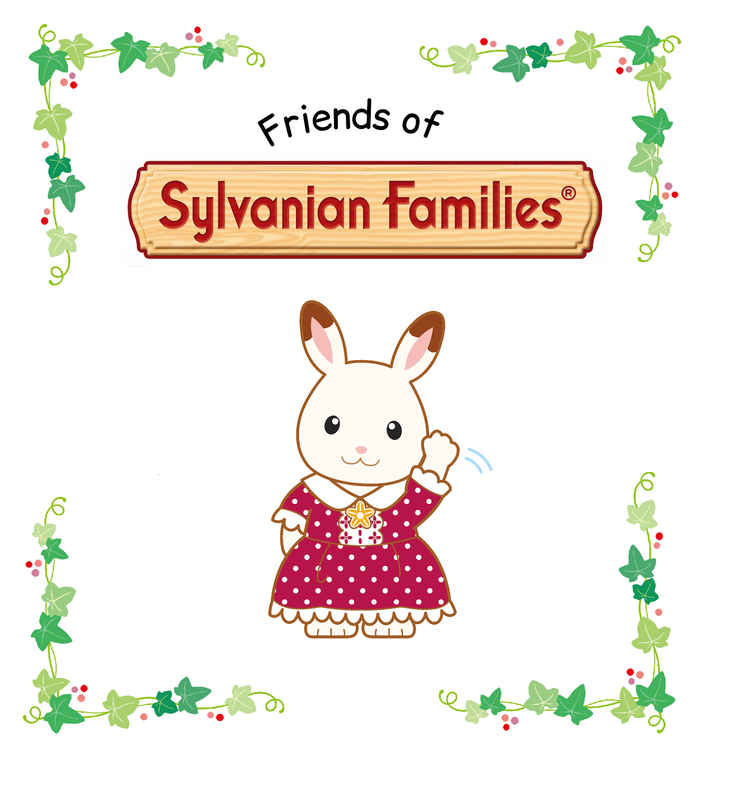 What's your child's favourite bedtime toy? My Favourite Diet & Fitness Products + Giveaway! As most of you will know now for the past 5 weeks I've been on a mission to lose my baby weight and get myself fit and healthy. I've been trying out lots of different products lately so I thought I'd write a post telling you about my favourite items that have helped me lose 8lbs in 5 weeks. For breakfast I've been having a meal replacement shake as I don't always have time to make something to eat. 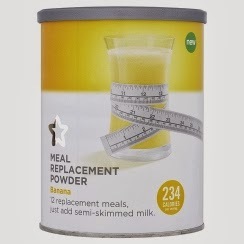 I've been trying out the Superdrug Meal Replacement Powder in Banana Flavour and it's really nice, you just make it up with semi-skimmed milk and it's only 234 calories. It also comes in Chocolate and Strawberry flavour and is perfect if you're in a rush like me. My favourite t-shirt to workout in is this Royal British Legion Running T-Shirt, it's really light weight and comfortable to run in and it dries really quickly when you sweat so you don't feel all soggy and damp after a workout. 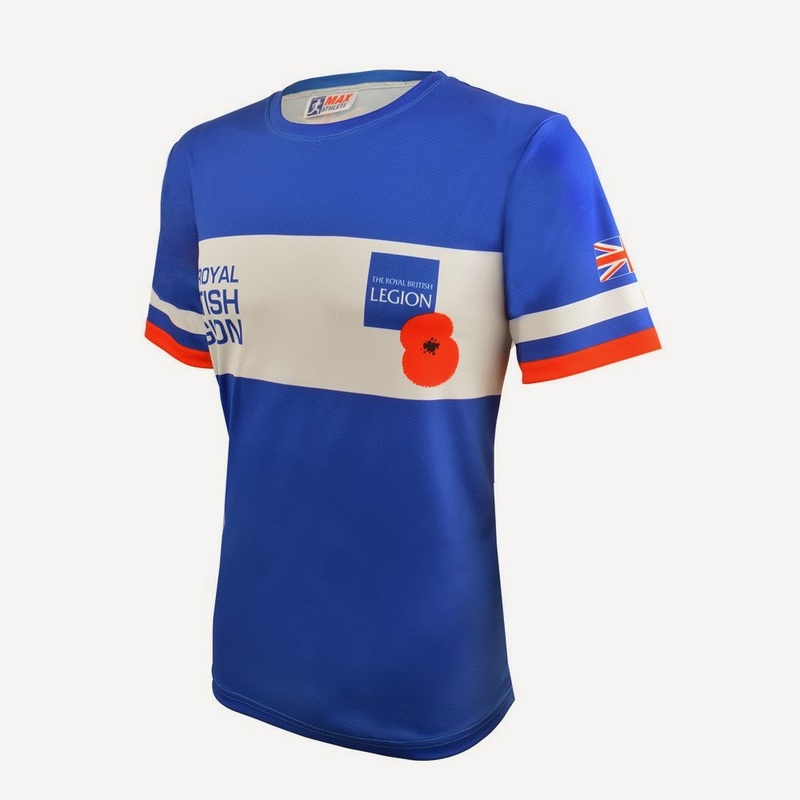 The Royal British Legion sell a range of sportswear in their online shop The Poppy Shop where all profits go towards caring and campaigning for our armed forces and their families. 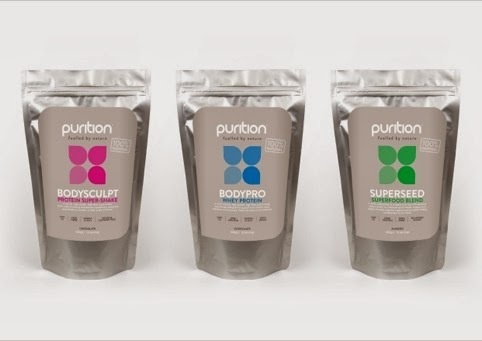 I've been trying out different protein shakes to have after my workouts, I liked the Purition BodySculpt Shake but I found the bits in it a little strange to drink. It's a 100% natural, high protein and high fibre wholefood shake so it's perfect if you're trying to eat clean like me and it can also be used as a meal replacement shake. 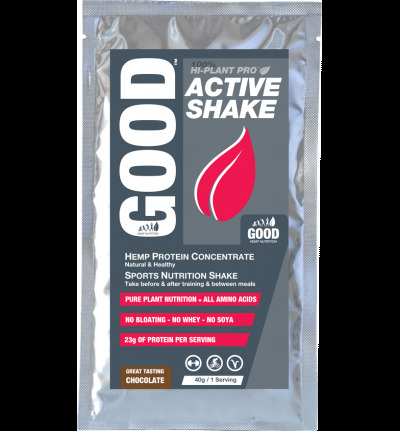 I've also tried out the Good Hemp Nutrition Active Shake, this was very similar to the Purition Shake but the taste wasn't as nice, but again it's 100% natural and reduces bloating which for women is great. It helps with muscle recovery and improves overall wellbeing. I love the fact that it fits in so well with my new lifestyle where I'm trying to eat as clean as possible and also stops my muscles from feeling too tired after working out. I've been really loving these Fruyo Fat Free Greek Yoghurts, they come in a range of flavours and they're absolutely yummy! My favourites are the Blueberry and the Lemon flavours. They're fat free, gluten free, high in protein and suitable for vegetarians and pregnant women. You can find them in most leading supermarkets. 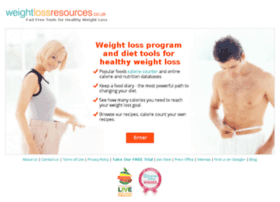 I've been using a great website to help with my dieting, www.weightlossresources.co.uk offers some really useful tools for healthy weight loss like a calorie counter, a food diary so you can keep track of what you're eating and lots of delicious and healthy recipes to help you lose weight the right way. I've found it really helps me to keep a food diary as it's so easy to just eat and eat and not really realise what you've had, when you can see everything laid out on the screen you realise when you're eating too much and where you need to cut down. 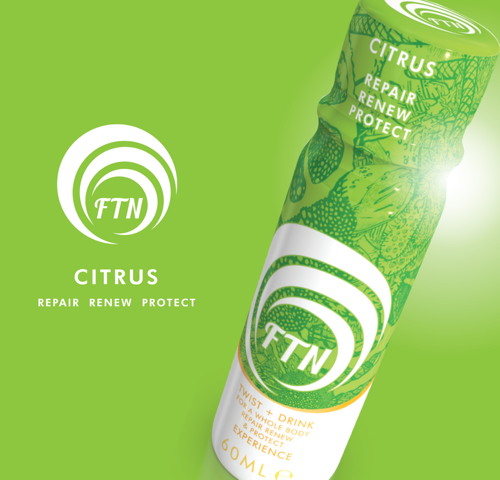 Lastly I've been loving the FTN Citrus Drinks, they're a 60ml shot filled with all the essential nutrients that your body needs to help support it's natural cell renewal process. It contains wholefood ingredients, zero stimulants and is only 27 calories per shot. I've been having one every morning to give me a boost and I've been feeling great. 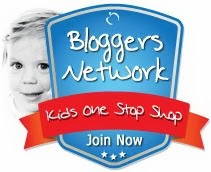 If you would like to try some of the FTN Citrus Drinks then it's your lucky day because the lovely people at FTN are giving me a months supply worth £49.99 to giveaway to one lucky winner! I haven't done a post like this for a long time so I thought it would be nice to let you know what has been happening in my life in the last few weeks. It's Summer's 1st birthday soon and I've been spending loads of time planning her birthday party, however something I haven't really thought about it what to buy her, people keep asking me what they should buy and I haven't got a clue lol. We haven't done much in the way of days out recently as we've all been ill but we did manage to take Riley bowling for the first time and he absolutely loved it. A friend of mine is having a nightmare organising a move to Scotland and after spending hours on the phone to estate agents in Edinburgh I thought it would be nice to try and get her to chill out with a cup of tea and some cake. I remember what it was like when we were buying our house, lots of stressful phone calls to solicitors and mortgage lenders, the one thing that made a big difference was working with a good estate agents, they can help things run more smoothly with the sale of your house and take a little bit of the stress out of buying a house. One thing I love about buying a house is looking for the perfect house, I love browsing the internet looking at houses and going to view them, it's so much fun. Sometimes if I'm bored I still look at house on the internet just for fun, is that weird? Let me know if you do that too. I made her some 100 calorie brownies because we're both on a diet and she loved them. I'm going to be sharing the recipe with you in next weeks Weight Loss Wednesday post over on Beauty by Emma. Speaking of my diet it's going really well, I've lost 6lbs in the last 4 weeks and I'm feeling so much better for it, I still want to lose another 11lbs but I'm on the right track and I feel like it's going to be achievable if I carry on and keep focused. So that's pretty much all I've been up to lately, if anyone has any ideas for good presents for a 1 year old then let me know. 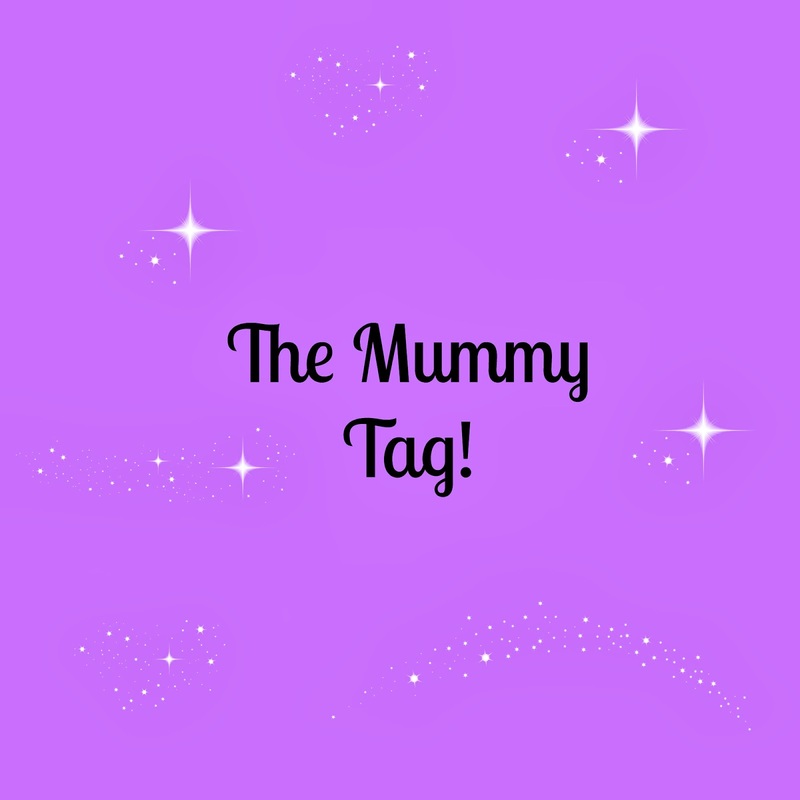 Last week my friend Louise from An Undomestic Goddess did The Mummy Tag post, I loved reading her answers so I thought I'd have a go at it myself. 1. 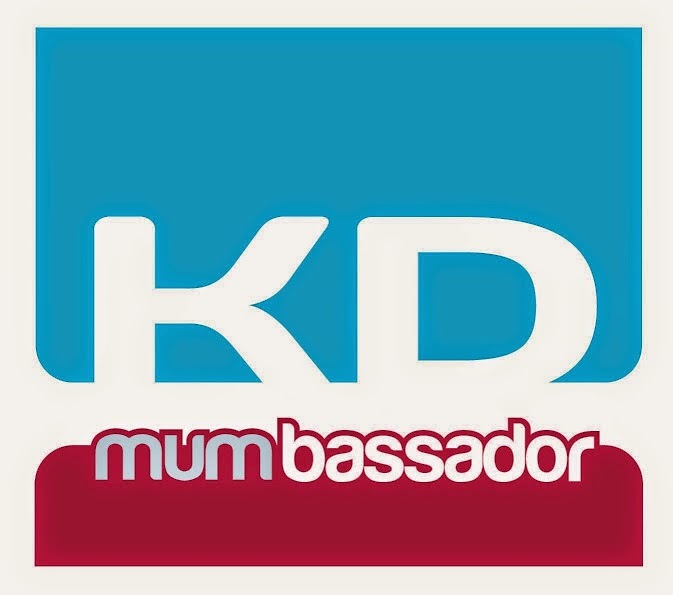 Are you a Stay at Home Mum, or a Working Mum?I'm a working Mum, I have my own mobile beauty business which keeps me busy but is great as I can work my hours around the kids, meaning I can spend as much time with them as possible. 2. 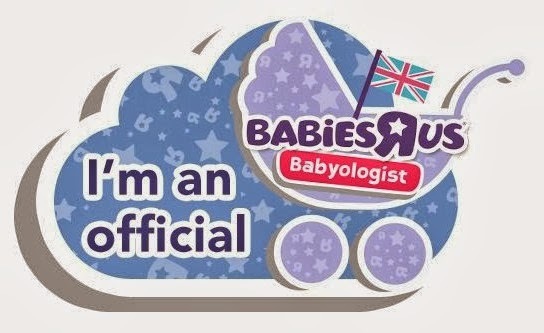 Would you have it any other way?I love my job but if we won the lottery I wouldn't mind giving up working and just being a stay at home Mum. 3. Do you co-sleep?No, the thought terrifies me, both my children have slept really well in their cots so I've never needed to have them sleep with us. Riley who is 3 and a half will occasionally come and get in bed with us early in the morning but that's not very often and I don't mind that as we have some lovely cuddles. 4. What is your one must-have item for your baby?I have to say the same as Louise, the baby sleeping bag, I've used them with both of my children and I think they're great. I like the idea that the kids are snug and warm but there's no risk of them wriggling under blankets and getting too hot or even suffocating. Also my daughter Summer is a major wriggler and she would never keep a blanket over her so it stops her from getting cold in winter. 5. 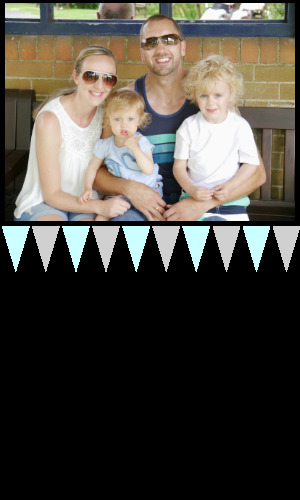 How many kids do you plan on having?I always wanted 3 children (I'm 1 of 3 myself) but my second pregnancy with my daughter was very hard going and to be honest it put me off. We now have one of each and are happy to stop at 2 children. 6. Date night? How many nights per month?I think me and my husband are lucky to get 1 date night every 3 months to be honest, we try and make time for each other as much as we can but sometimes it just doesn't happen. We are going to London for the weekend next week though for our 5th wedding anniversary so I'm really looking forward to that. 7. Your childs favourite show?Riley's favourite show at the moment is Ben 10 and Summer doesn't watch tv. 8. Name one thing you bought before you had your baby and never ended up using?I'm sure there will have been a few things but I'm struggling to think of them at the moment. I know we bought a Babasling for Riley and never used it because he hated going in it but I think that's about it. 9. Your child’s favourite food?Riley is a terrible eater and pretty much lives on a diet of chips and crisps so they would be his favourites and Summer loves blueberries. 10. How many cars does your family have?We have 2, Ian has a company car and I have my own car. 11. Weight gain before pregnancy, during and after and now?Before I was pregnant with Riley I was around 8 and a half stone, after I had him I got down to 9 stone and then got pregnant with Summer, after having her I was around 10 stone but have recently started dieting and exercising and I currently weigh 9 stone 4lbs, my goal is to get down to 8 and a half stone again. 12. Dream holiday with your kids?Disneyland in Florida! We've already decided we're going in 2020 and now we just have to get saving lol. 13. 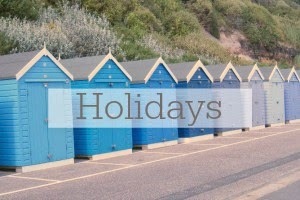 Dream holiday without your kids?I'd love to go to The Maldives again or Hawaii. 14. How has your life changed since your baby has been born?Life is very different and at times very hard but when I look at my 2 beautiful children it's all worth it. There's nothing better than being a Mummy. 15. Finish the sentence: ‘It makes my heart melt to see … ‘Riley looking after Summer, he's always so concerned about her, where is she? Is she ok? He's very protective of her and she loves him to bits too. 16. 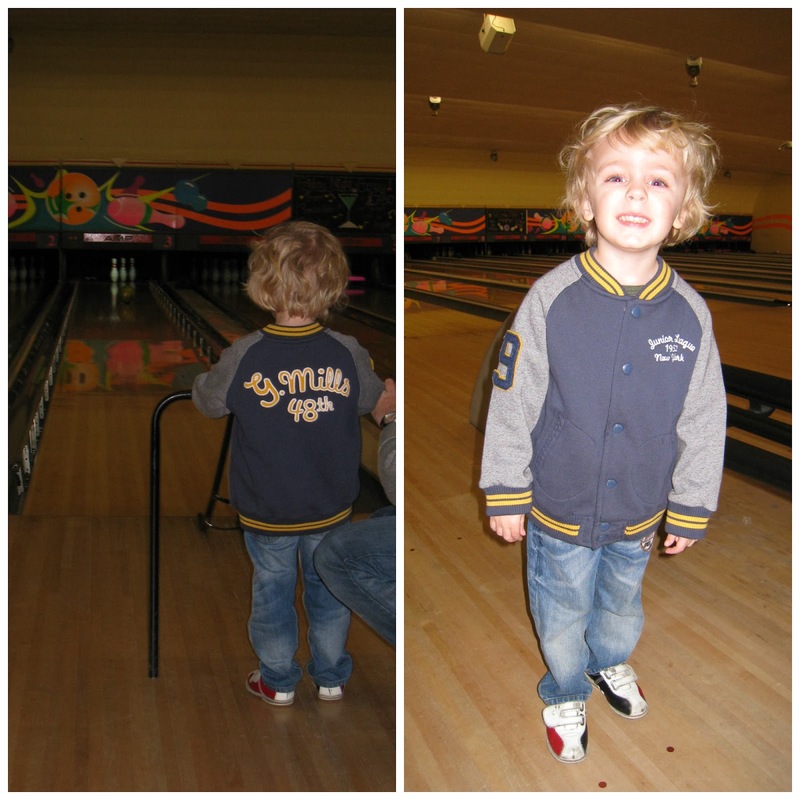 Where do you shop for your kids?I buy a lot of their clothes from Tesco, the F+F range for kids is amazing! I also get them quite a bit from Primark as they have some lovely things at super cheap prices. 17. Favourite makeup and skincare products?My favourite skincare product at the moment is the Skin Chemists Bee Venom Repair & Protect, it gets rid of spots in no time and keeps them away too. My favourite makeup product is my Collection 2000 concealer because I just can't live without concealer. 18. Huggies or Pampers?Neither! 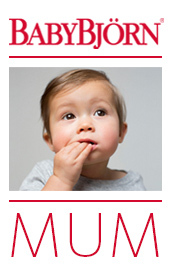 I always use Aldi Mamia Nappies and wipes, they're brilliant quality and much cheaper than Huggies or Pampers. 19. 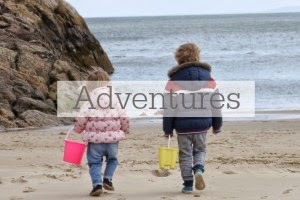 Have you always wanted kids?Yes, I knew I didn't want them until I was in my 30's though because I wanted to travel and experience things before I had them, I'm so glad now that I spent my 20's enjoying myself because things like travelling have to take a bit of a back seat when you have small children but hopefully when they're a little older we'll take them on some exciting adventures too. 20. Best part about being a mum?I think it's the pure, unconditional love that you feel for them and from them, there's nothing better than getting a cuddle from Summer or Riley telling me that he loves me. It's the best feeling in the world. I tag anyone who would like to join in, if you do decide to join in then let me know as I love reading other peoples answers. 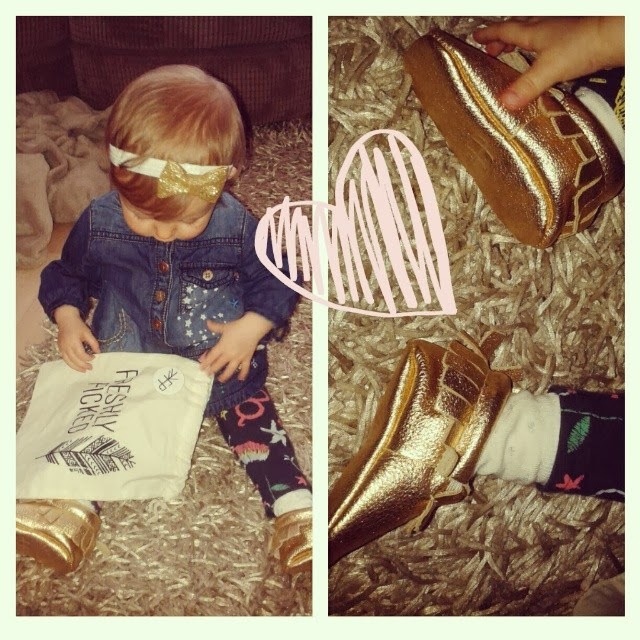 I've had my eye on a pair of Freshly Picked Moccasins for Summer for a while now so I was absolutely thrilled when I was given the chance to try some out, choosing the colour was extremely difficult as they have such a wide range of gorgeous colours and I basically wanted them all, in the end I decided on the Gold Moccasins and I'm so glad I did because they are absolutely gorgeous! 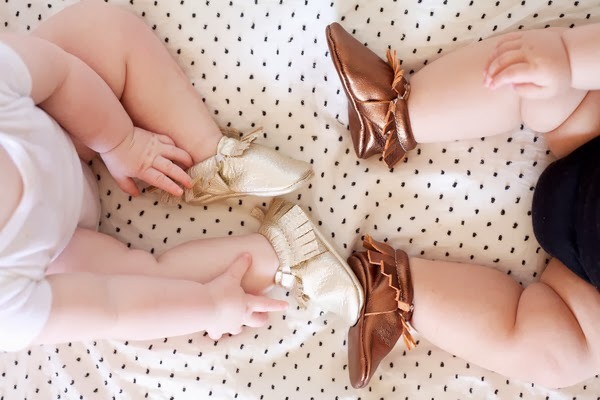 Freshly Picked was set up by Susan Petersen who started making baby moccasins in 2009 after becoming frustrated by the lack of well-designed baby shoes. Using her son Gus as her mocc-tester and a bag of scrap leather she perfected the design and they are now seen on the feet of well dressed babies everywhere including babies of celebrities like Kourtney Kardashian. I was so excited when Summer's moccasins arrived, they came in a super cute canvas bag with a Freshly Picked badge. If you follow me on Instagram you will have seen that I couldn't wait to take a pic of them and show everyone and the response was great, everyone loved them. The leather is so soft and they're really easy to put on which is always a bonus with baby shoes. I think they look absolutely adorable on and I love the fact that they're nice and comfortable for Summer to wear. The gold colour goes with everything and I'm officially obsessed! You can buy them from the Freshly Picked Online Shop in a wide range of colours for baby girls and baby boys. 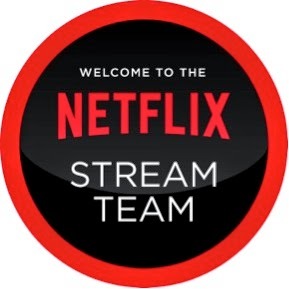 You can also find Freshly Picked on Twitter, Facebook, Pinterest and Instagram. With Valentines Day just around the corner I thought I'd do a little gift guide post to give you some ideas for gifts. Valentines Day never really ends up being much of a big deal to us because our wedding anniversary is on the 20th of February so we tend to celebrate that rather than going all out for Valentines. This year will be our fifth anniversary and I can't believe how fast the years have gone by, in those five years we've bought a lovely house and had two beautiful children and we couldn't be happier. You can't beat a beautiful bunch of red roses as a Valentines gift but why not go one better and get roses, champagne and chocolate, this True Love Gift Set is from Moonpig.com for £40 and you also get a free card. Something a little more personal and unique are these His and Hers Wooden Tree Carving Coasters, if you follow me on Instagram then you will have seen that I got these for me and my husband and they're so nice, I absolutely love them and would totally recommend them if you're looking for a gift that's a bit different. 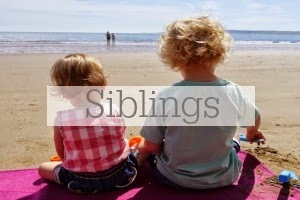 You can get them from Getting Personal for just £9.99 and they also have a great selection of personalised cards. If it's a nice romantic atmosphere you're looking for then why not go with candles, Yankee Candles are a favourite of mine and this set of 12 True Rose tea lights and 2 tea light holders would be perfect for setting up around a lovely hot, bubble bath for your loved one. Valentines Day is always the perfect excuse to buy new underwear or get your partner to buy you some, Asda have a gorgeous range of underwear sets perfect for Valentines, all at really affordable prices. You can get this really pretty two tone lace set for under £10. Degustabox is a monthly subscription box filled with a selection of 8 to 12 new, special or innovative food products from well known brands. I received one in December and was really impressed with what I got so I was super excited to receive January's box and find out what was inside. GO! Kombucha is the UK's leading raw kombucha tea brand. In celebration of Chinese New Year Degustabox are working with GO! Kombucha to highlight their China White and Golden Yunnan teas which faithfully adhere to the ancient Chinese recipe. Filled with pro-biotic enzymes, antioxidants, vitamins and minerals it is the perfect way to start your New Year invigorated and revitalised! Quinola Mothergrain Express is the perfect way to enjoy quinoa and save time! Ready cooked, they can be enjoyed cold as part of a salad or quickly reheated for be included as part of a hot meal. Organic and Fairtrade, Quinola Mothergrain Express have won 4 Great Taste awards. Not only delicious, quinoa is also a super-food, high in nutrients and gluten free! In either Pearl and Black or Pearl and Red, Quinola Mothergrain Express a quick,easy, healthy and delicious way to enjoy quinoa! Dorset Cereals produce honest, real and (most importantly) tasty cereals. For the January box Degustabox is showcasing Dorset Cereal's delicious Berry Granola, a heavenly mix of traditionally baked oats and zingy blackberries and raspberries. Using good quality products and all created in Dorset, these delicious cereals embrace all the principles of Dorset's Cereals ideas on Simple Pleasures! Not only are Goody Good Stuff sweeties suitable for Vegetarian, Halal and Kosher diets, they also use high quality ingredients to produce a range of mouthwatering confectionery that are gluten, dairy, soy, nut and high fructose corn syrup free! In collaboration with Degustabox, Goody Good Stuff have supplied not one but two bags of their good stuff! A bag of their Tropical Fruit to tantalise your taste buds and a Sour Mix & Match for a tangy twist! Maggi®’s So Juicy and So Tender range of recipe mixes are the perfect answer to those tricky mid-week meals. In your Degustabox you will find 2 packets of So Juicy and 1 packet of So Tender, with easy to follow 3 step instructions to make delicious flavoursome meals in a cinch! In this month's Degustabox, Jules Destrooper have supplied the biscuits they, as a family, have been baking for 125 years! They have been producing their delicious golden Butter Crisp biscuits using the original19th century family recipe, using rich summer butter and a secret blend of spices, for 4 generations. Enjoy these mouthwatering biscuits that are a part of Belgian gastronomic history! Zico Coconut Water is all about Oomph! As part of this Degustabox and Zico collaboration, we have opted to give you Oomph with added chocolate! Zico Chocolate is made from 85% coconut water (from concentrate) and a more-ish natural chocolate flavour. Zico Chocolate is an excellent low calorie option with great hydrating qualities, choose Zico to get some Oomph! Amy's Kitchen Organic Chunky Tomato Soup is made from all natural ingredients, it's gluten free and low in fat which makes it perfect if you're watching what you eat at the moment. I'm really looking forward to trying the Kombucha and the Zico Coconut water as I'm on a major health kick at the moment and these will fit in with that perfectly as will the Quinola Mothergrain quinoa which I've seen recommended a lot but I've never tried it. My husband has already eaten the Jules Destrooper biscuits which he thought were delicious and would be great as part of a dessert. I've tried the Maggi So Juicy before and loved it so I was really happy to see those in the box and I'm excited to try the So Tender. The Amy's Kitchen soup is perfect for me at the moment as it's low in fat so fits in well with my diet and I love eating soup when it's cold outside. A few people have told me that the Dorset Cereals Granola is delicious but I'm looking for a way to eat it that's not going to be too high in calories as I'm on a diet and I know sometimes granola can be high in calories so if anyone has any suggestions then let me know. Lastly is the Goody Good Stuff sweets which I have tried and they really are yummy, the flavours are amazing and I love how they're suitable for pretty much everyone. I'm really impressed with this months box again and am already looking forward to next months. 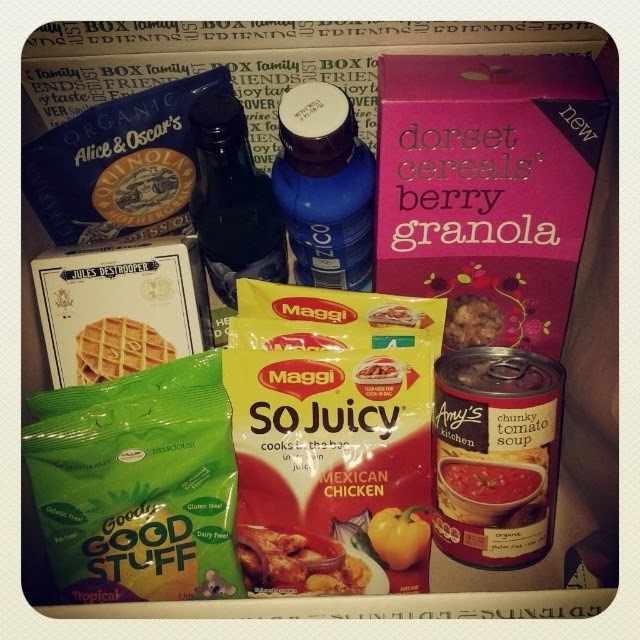 If you love food and like to try new things then I'd recommend you give Degustabox a try.